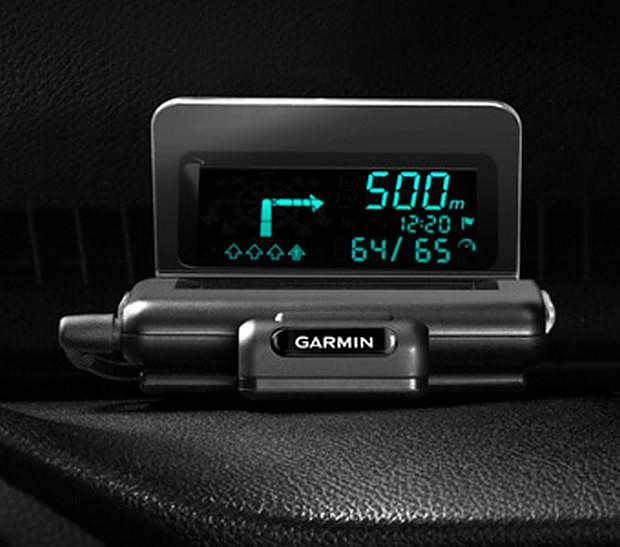 Garmin HUD displays driving directions onto your car’s windshield. 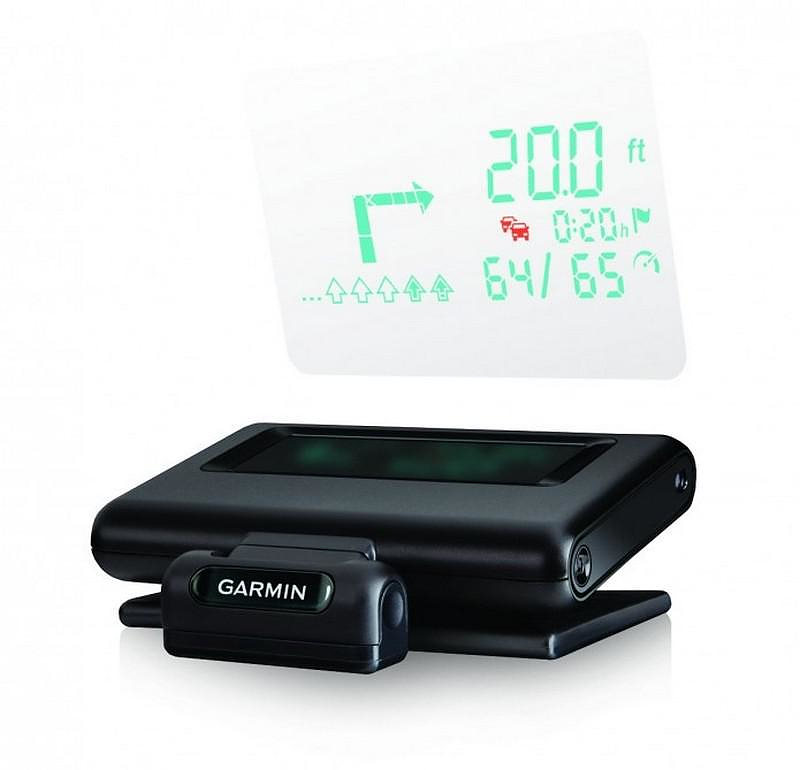 HomeBlogTechnologyThe futuristic looking Garmin HUD displays GPS driving directions onto your car’s windshield. Thanks to Garmin and its sci-fi looking Garmin HUD you can style your car like fighter jet. 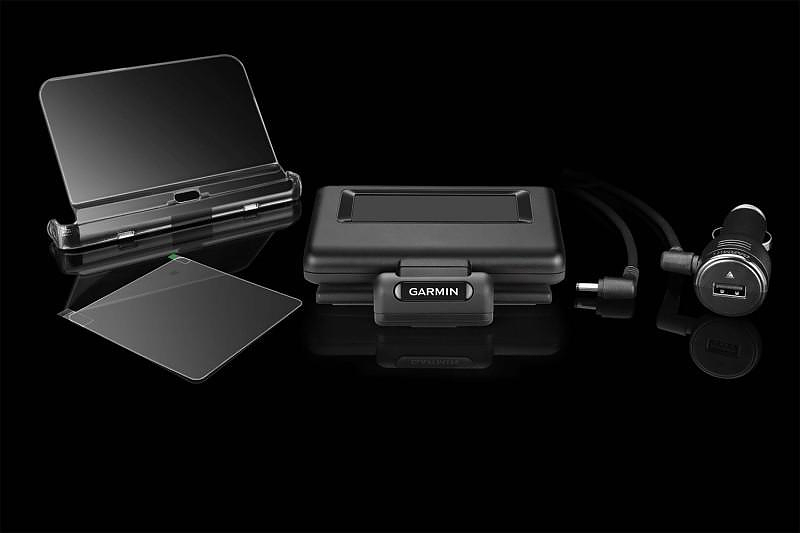 The Garmin HUD (Heads-up Display) is a GPS navigation gadget that projects driving directions onto your car’s windshield. We all know that smartphones have pretty much taken over as the default navigation tool for many drivers, so the Garmin HUD is not a standalone device. Smartly it cooperates with you mobile phone, making it a relatively future-proof investment. Navigation data is provided by popular navigation apps, either Navigon or StreetPilot, on an Android, iPhone, or Windows Phone 8 smartphone. The head-up display pairs with your handset via Bluetooth in order to communicate with the navigation app. Moreover if your car has a Bluetooth enabled sound system your smartphone can also simultaneously pair with your car’s Bluetooth to broadcast the spoken portion of the turn-by-turn directions and to take incoming calls. 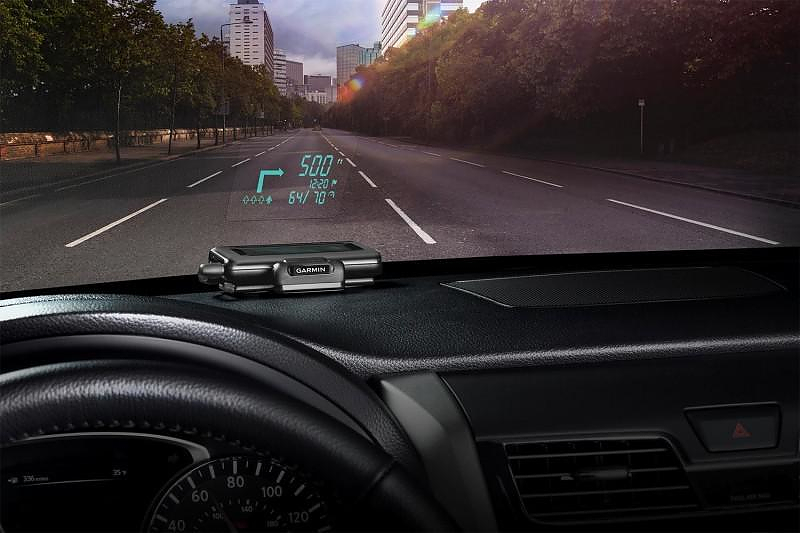 The Garmin HUD “short for head-up display” is mounted on the dashboard at the base of the windshield, where it projects navigation data upward into the driver’s line of sight, either onto a transparent film affixed to the windshield glass or a reflector lens that attaches to the HUD device. Both the film and reflector lens are included with the device. 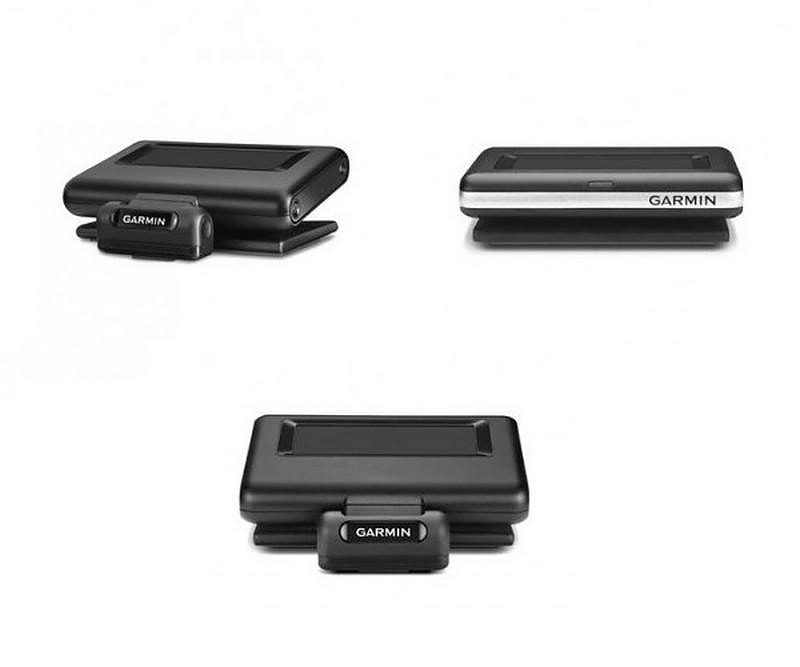 According to Garmin the Garmin HUD automatically adjusts the brightness of its projections, so that the display remains visible in direct sunlight. Without glowing annoyingly intensively during the night time. The device is powered by a 12V car charger. A smart addition is that it also has an additional integrated 5V/2.1A USB charging port for keeping your smartphone also charged up during your trips. 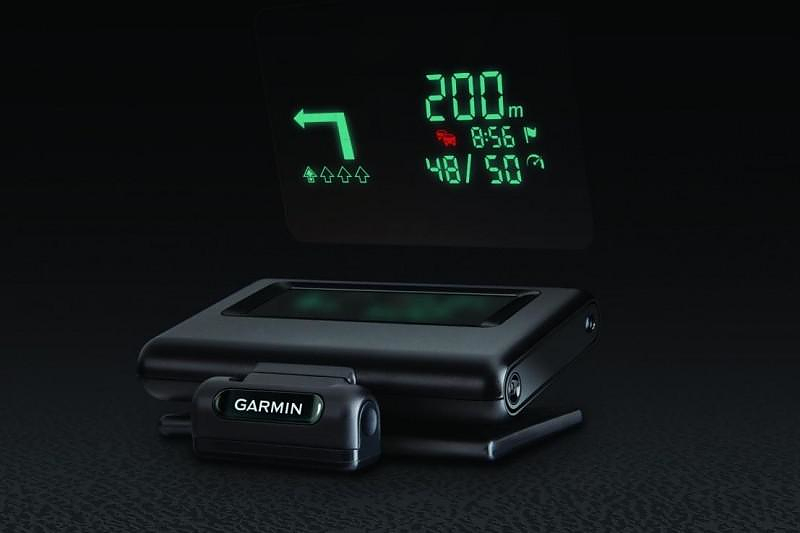 By projecting this limited, yet relevant data up in the driver’s line of sight, Garmin claims that “The Garmin HUD can help increase safety and reduce driver distraction.” A device such as this makes ever more since given that some locales (such as the state of California in the US) have outright banned smartphone use in the car, as a safety precaution. SO there are places in the world where windshield mounts, dashboard cradles, and all other smartphone car mounts are downright illegal. Having a limited experience with head-up displays in BMW vehicles, we would argue that the Garmin HUD is indeed an extremely convenient way to display turn by turn directions in your car. And of course it looks darn cool. Its only obvious downside is that it is not compatible with free mapping programs like Google or Apple Maps and you would need to purchase Garmin’s Navigon or StreetPilot app in order to receive driving directions.